Deviney and Brett’s romantic St. Pete Beach wedding featured a classic color palette of blush, gold and ivory to complement the beauty of their iconic St. Pete Beach wedding venue The Don CeSar. “We wanted a wedding with the beach incorporated somehow and a place we could go back to and enjoy for many years to come. It was also important when having an outside wedding, with the unpredictable Florida weather, to make sure we also liked the weather back-up room just in case it was needed,” explained the bride. “The Don CeSar is such a historic location and was perfect because the gorgeous courtyard was the happy medium to provide us with that outdoor, beach-y feel without being on the actual beach. I also fell in love with the terrace on the fifth floor which was where we had cocktail hour, as well as the two levels of the Grand Ballroom where we had our reception. The bride chose to incorporate a classic monogram and elegant script throughout her wedding paper goods and invitations from Tampa Bay wedding stationery designers Invitation Galleria. Knowing that photography would play an important role on their special day and for years to come, the Tampa couple hired Tampa Bay wedding photographers Limelight Photography. Looking back, the bride’s most memorable moment was locking eyes with her groom as she walked down the aisle. 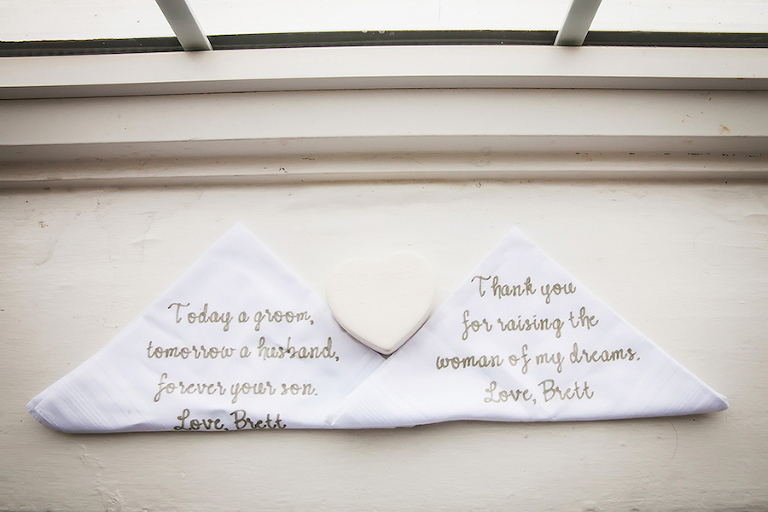 “The ceremony on the courtyard is my most memorable moment because I finally got to see Brett. The moment before we said our ‘I Dos’ and the sun came shining through, and I felt my dad’s smile on us,” the bride reminisced. We wanted a classic and elegant invitation that matched our romantic theme. We did a blush invite with gold foil writing. We had previously used Invitation Galleria for my sister’s Quinceanera, and they truly delivered. We could not have been happier with how they turned out! 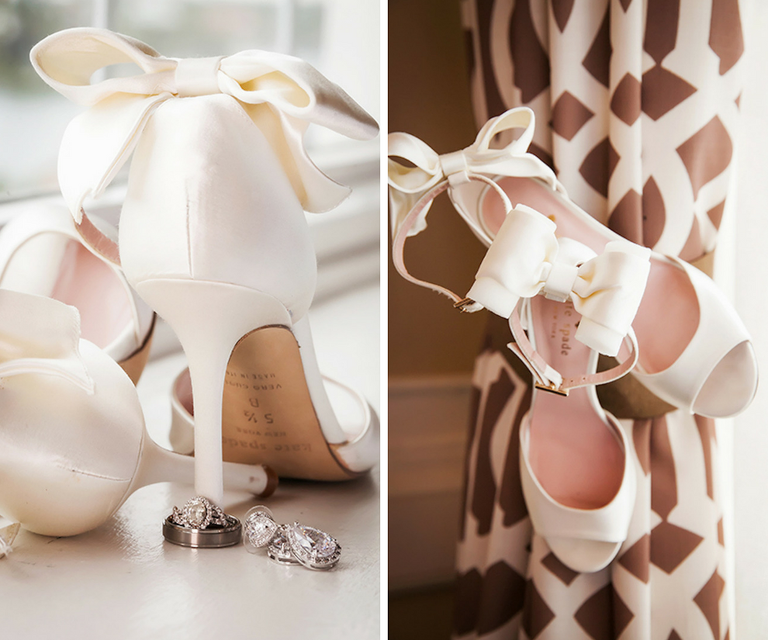 Blush, gold and ivory. We chose them to complement our wedding venue. We also incorporated Brett’s favorite color navy with the tuxes. We wanted a wedding with the beach incorporated somehow and a place we could go back to and enjoy for many years to come. It was also important when having an outside wedding, with the unpredictable Florida weather, to make sure we also liked the weather back-up room just in case it was needed. The Don CeSar is such a historic location, and it’s our view from Brett’s parent’s place along the intercoastal. The Don was perfect because the gorgeous courtyard was the happy medium to provide us with that outdoor, beach-y feel without being on the actual beach. I also fell in love with the terrace on the fifth floor which was where we had cocktail hour, as well as the two levels of the Grand Ballroom where we had our reception. The service was exceptional from the moment we checked in through the rehearsal dinner, ceremony, cocktail, reception and through checking out. Beth and Alexandra worked so well accommodating us and the weather. Pictures were one of the most important things to me because it is what you will have to look back on for the rest of your lives. We were looking for a wedding photographer who provided us with a high level of comfort, was one of the best in the industry and knew exactly how to capture the story of our special day. 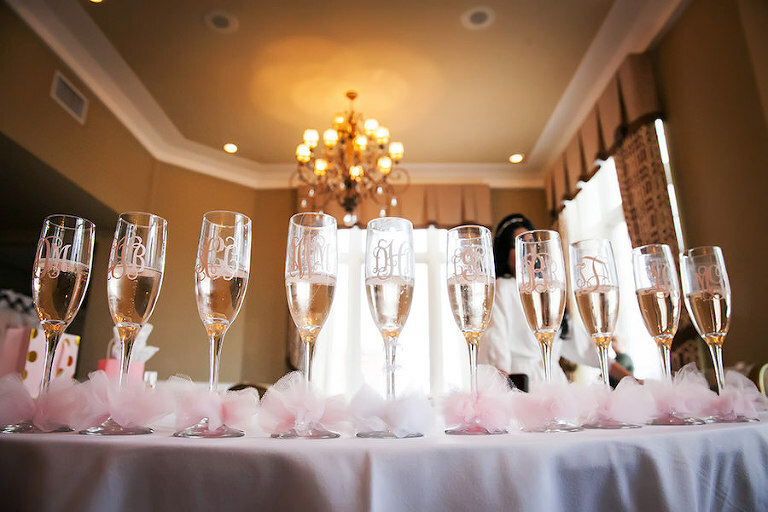 After meeting with Limelight Photography, we instantly were comfortable and trusted them with such an important day. They exceeded all of our expectations! It was hands down one of the best decisions we made during the entire process. Everything from start to finish was effortless and easy with Limelight! I can’t say enough about working with them the day of the wedding. Our photographers, Jess and Carlos, were amazing and truly made our day special.